My target language is Spanish from Spain, which is the country where I live. But many years of experience in localizing software for Microsoft have made me extremely familiar with neutral Spanish, which is valid for Spanish speakers throughout the world. I also provide translations from Spanish into English. For these jobs, I work in tandem with a native English translator and reviewer. I am a translator specialized in videogames, subtitles, software, IT, marketing and webpages, but don’t hesitate to ask me for a translation on any topic. 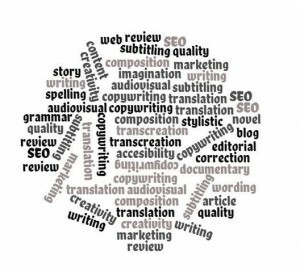 A good translator knows her strengths and limitations, and can judge what projects she can accept with the commitment of delivering a high quality translation. © 2019 Maribel Cabo – Translator and Subtitler. All rights reserved.